Empathy is the true capacity to understand or feel what another being is experiencing from within. What started out as a yearlong social media experiment to inspire and galvanize empathy has ballooned into a widespread campaign to engage people to perform one act of empathy every day. 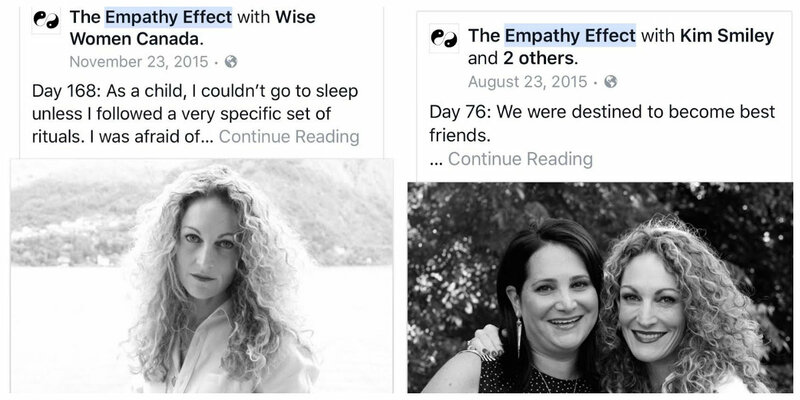 Wise Women Canada was honoured to be featured on Days 76 and 168. We are so incredibly proud of our friend Kim Smiley. 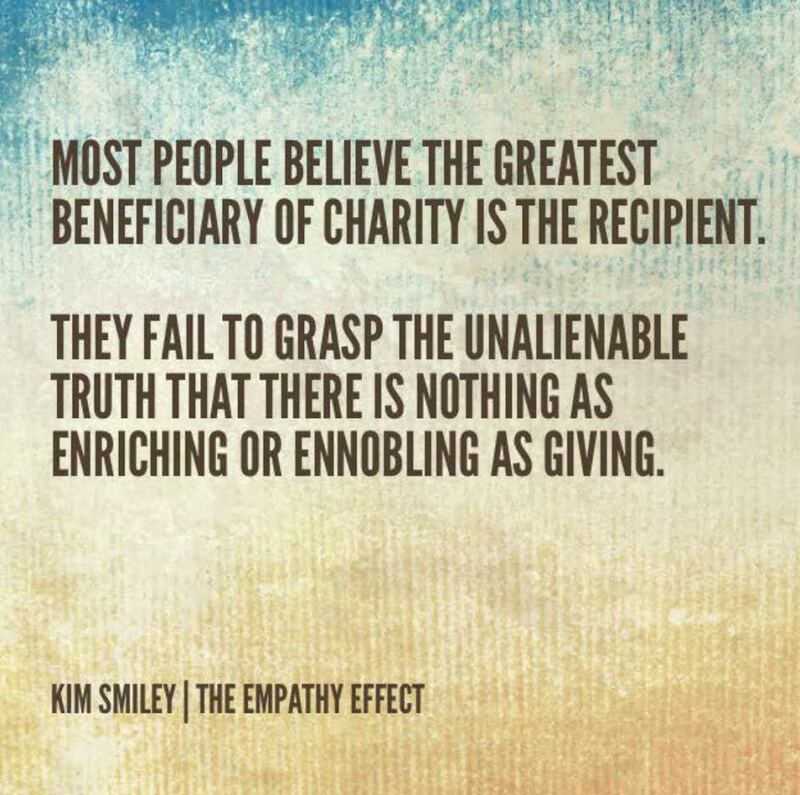 Kim is a Toronto jewelry designer and social entrepreneur Kim Smiley (Sapphô by Kim Smiley) launched The Empathy Effect Facebook page one year ago to test her hypothesis that empathy could be contagious. Posting one true story and photograph six days per week about someone transforming the world through empathy, the project has attracted nearly 115,0000 followers in 50 countries, and continues to grow exponentially. With her goal of a igniting a social movement, anchored in acts of empathy, Kim is launching The Empathy Effect 2.0. today, June 13, 2016. She will release a video on the project’s new YouTube Channel, introducing the #EmpathyPledge. Symbolized by a lapel pin, the pledge is a promise to practice one act of empathy every day. Think about taking your own #EmpathyPledge and do your part in making this world a better place.